copyright Dec 2006 by Roger Bourke White Jr. I was looking back over the pictures in my Utah gallery, and realized there were a lot of really good ones that I haven't shown off anywhere else. 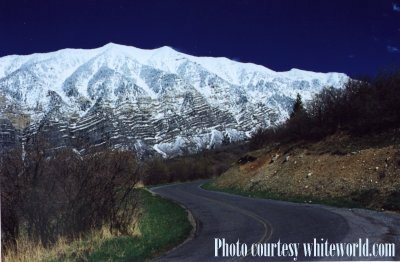 Here are some neat pictures of Utah that I have taken over the years. 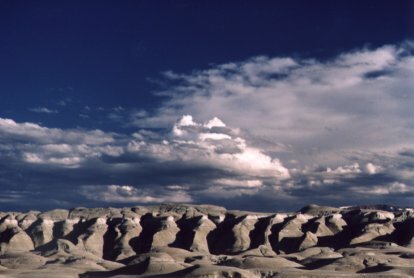 This is taken on the Utah - Wyoming border, near I-80. We are looking south on thunderstorms building over the Unita Mountains in Utah. The foreground is a shaley "badlands" that I had to drive around to get to the Unita's. 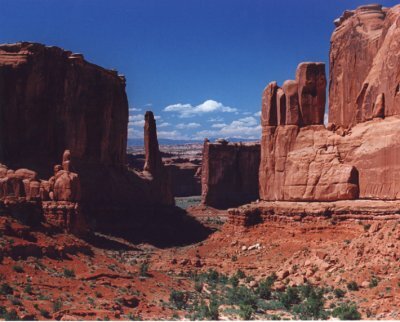 This is "Park Avenue" in Arches National Park. It's a classic look for Arches. This is a tree struck by lightning long ago. 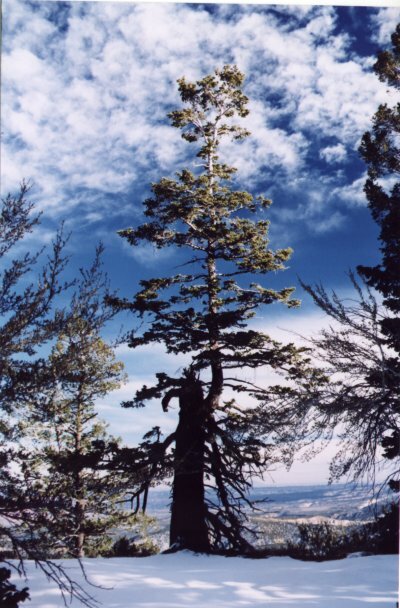 It's on the ridge line in Bryce Canyon National Park. And, yes, it's winter. I find many national parks to be very photogenic in off season. 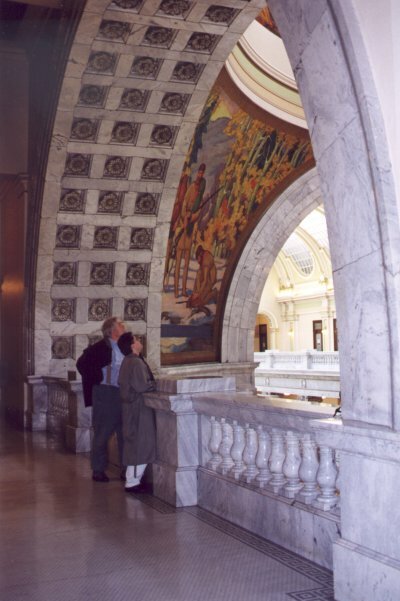 The Utah State Capitol building lacks for nothing in lushness on it's national counterpart. These floors and walls are rich marble, and wonderful to behold. What is this you may wonder? 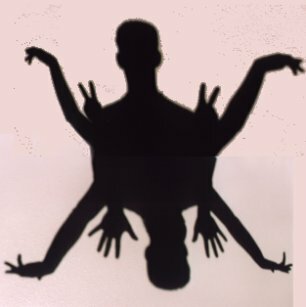 It's the beast with two heads! Provo Mountain, an hour south of Salt Lake City, in the springtime. 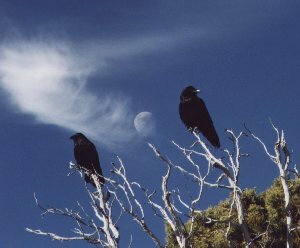 Ravens and moon. Taken in Canyonlands National Park on a wintery afternoon. Winter makes the animals much less skittish. In the summer these birds would have either flown away, or come down to my feet to prance around in hopes of getting a treat. 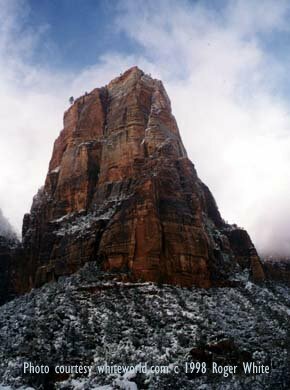 The Red Throne in Zions National Park, just as a snow storm was clearing out. This, and the one following, were one-in-ten-thousand pictures, literally. Ten minutes earlier and we would have seen nothing but white fog. Twenty minutes later, and the clouds would have disappeared completely. 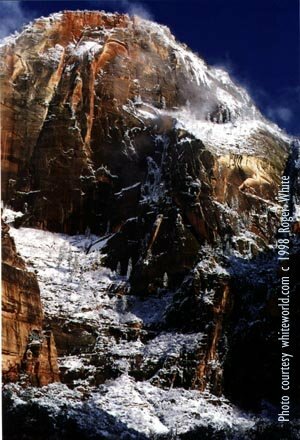 The White Throne at Zion National Park, just as a winter storm cleared. 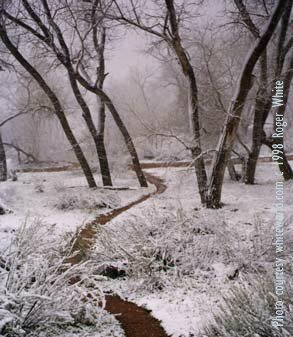 A snowy trail in Zion, taken twenty minutes before the two above. 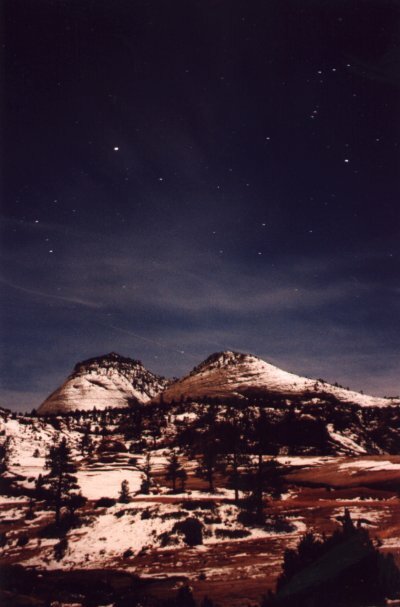 One of my later adventures in photography was to shoot photogenic scenery by moonlight instead of sunlight. This is an example of what I would sometimes get. The constellation Orion is in the upper left.